Creative educators are using cutting-edge edtech tools to develop innovative science programs that engage students in doing real-world, inquiry-based science. What steps can we take to help protect students when they’re using social media? It’s always the right time to take stock of your security practices and make sure they are still working for your district. If you’re in need of some new methods, here are a few to check out. Here’s how three school leaders turned outdated room into something more useful. 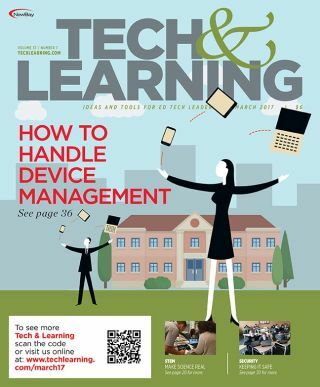 Keeping track of your school’s devices can be a challenge, but there are tools out there to make it easier. Here are some of your options.